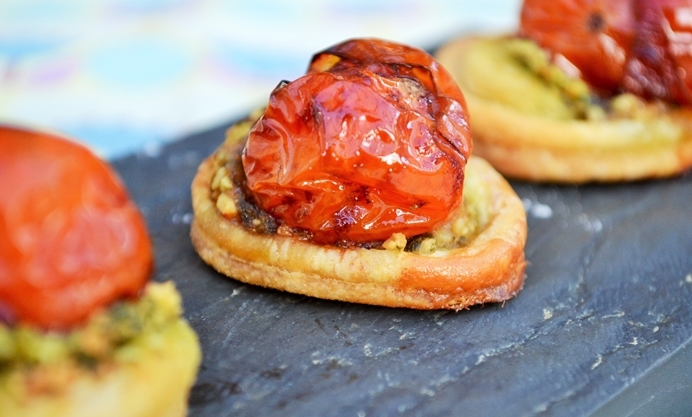 Here's an easy canapé idea for special occasions. Jacqueline pairs homemade dairy-free pesto with succulent balsamic cherry tomatoes, creating a tantalising mix of Mediterranean flavours. The canapés I remember from childhood Hogmanay (New Year's Eve) parties were not sophisticated. There was the face-down half orange, filled with toothpicks that were stacked with cubes of cheddar and pineapple. It looked a bit like a colourful hedgehog. Then egg and cress sandwiches cut into dainty squares, pickled onions, also on toothpicks and the obligatory bowls of crisps and twiglets. 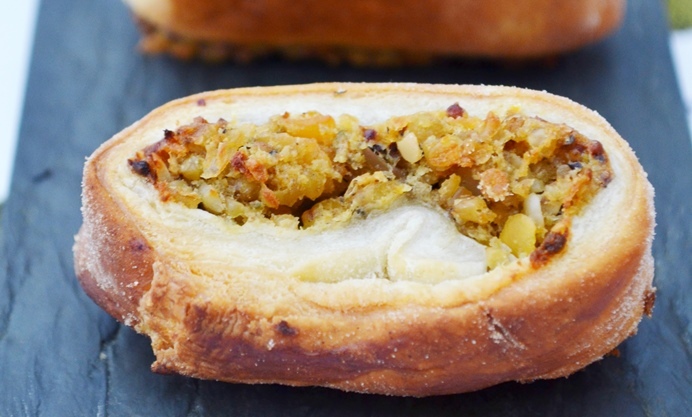 It’s quite fun to recreate the cheese and pineapple hedgehogs for a bit of nostalgia, but bite-sized nibbles can be a lot more interesting and flavourful than that. 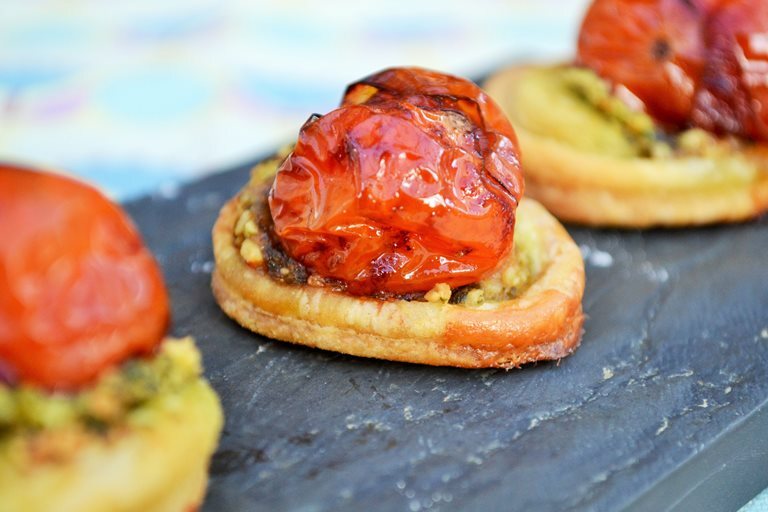 The canapés I’ve created are circles of puff pastry topped with homemade dairy-free pesto and a succulent balsamic cherry tomatoes. The Mediterranean flavours burst in your mouth and leave you wanting more. I used shop bought puff pastry, but made my own pesto. You could also use shop bought pesto as a shortcut, but the flavour of homemade pesto is wonderful and it can be made in minutes. I made a full batch of pesto and that is the recipe I’ve given you. It’s so good I like to have some leftover to serve tossed through pasta.